Dive head first into cooking with our Gourmand Kit! In this box, you’ll find the necessities to bring a little more oomph to your cooking. 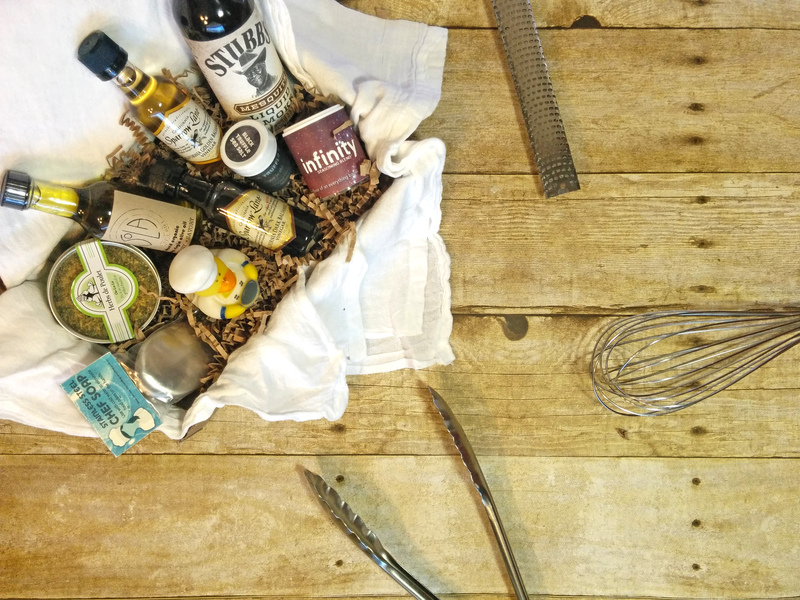 Each Culinarie Kit includes ingredients from artisan producers across the United States and a few toys and trinkets to help you around the kitchen. Box contents may vary by season. Enjoy! Some ingredients are subject to change based on seasonal availability. Sparrow Lane Artisan Vinegars is based in California, distilling the most delicious acidic concoctions. Balsamic vinegar is a staple in many dishes, but Sparrow Lane brings the classics to new heights with this Dark Balsamic and California Golden Balsamic Vinegar Duo. We love Sparrow Lane so much here at Culinarie Kit, that we decided to ask Chef Jesse a few questions. Read our interview with Sparrow Lane’s head honcho Jesse Layman! Black Truffle Sea Salt adds meaty and earthy flavors to anything it touches. Black truffles are rare and only grow in very specific conditions, so they’re quite expensive and hard to come by. Fortunately, their flavor is ridiculously potent–a little goes a long way. The truffles in this salt can make it seem, well, saltier. Use sparingly and always taste test! Quickles makes pickling a breeze. This tiny bottle will pickle half a pound of fresh veggies, perfect for an acidic accent to sandwiches, salads, or just for a snack. Quickles Pickling Concentrate is a great stepping stone to pickling at home all the time! If you’ve seen it in a bloody mary garnish, you can pickle it! Vegetables, aromatics and fruits are all fair game. We love to pickle cauliflower and garlic together. Follow the instructions on the bottle! All you need to do is chop some produce, add to an air-tight container with a little water, and voila! Fresh pickles. SoLA Deli (Herb Infused Oil) hails from South Louisiana, where they use local growers and farms to create their unique oils and herb blends. Georgetown Pantry Supply (White Truffle Infused Oil) is from the Northwestern U.S., creating gourmet pantry staples. These tasty gourmet olive oils are dominated by their rich accents. Green Point Trading Company was founded in 2011 by a culinary couple and is based out of Brooklyn, NY. All of their spice and seasoning blends are preservative and additive free! Chicken Little is a unique seasoning with subtle hints of sweetness nestled among layers of flavor. As the name suggests, it’s great on poultry, but we prefer to use it on roasted cauliflower. Allspice Culinarium is a boutique spice shop based in Iowa. Their Umami Dust is a savory blend of veggies and aromatics designed to provide the elusive “fifth taste.” Umami is the savory and earthy counterpart to the other four tastes: sweet, bitter, sour, and salty. Their Bourbon Pepper Blend is a rich and complex spice note that will bring meat, soups, and even salads an extra layer of zing! Use a pinch when seasoning proteins like tofu, or when building your own spice rub. Add a dash to homemade vegetable stock during the boiling process to create more depth of flavor in your soups and stews. Use in vegetarian gravies to get that “meaty” flavor you might otherwise miss. Use this blend as a finishing pepper instead of seasoning while cooking. A small sprinkle on top of a cream soup will add new life to each bite. Add a tiny pinch to French vanilla ice cream for a whole different dessert experience! Toss with roasted brussels sprouts, kale, or other crispy leafy vegetables for a punchier side dish. Smelly’s Brunch seasoning blends are created by Culinarie’s own Executive Chef Ellie (aka “Smelly”). The Infinity Seasoning Blend is modeled after a classic “everything” bagel with a smoky, gourmet touch. The spices, seeds, and aromatics in this blend add complexity to its base of cherrywood smoked sea salt. 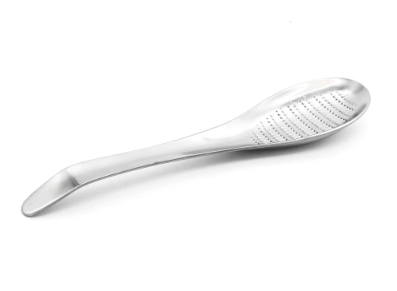 This stainless steel spoon is more than meets the eye–it’s an aromatic grater! Use on garlic or ginger to smash and shred them throughout a dish for even flavor distribution. This spoon is dishwasher safe, too! 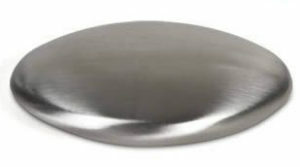 Subscribers will receive chef soap or the aromatic grating spoon. It’s also not a pet rock, it’s a pet duck! 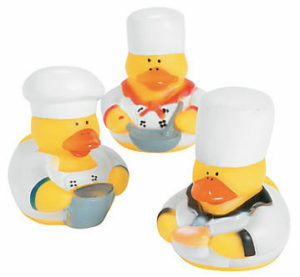 This cute little Chef Rubber Duckie will keep you company in the kitchen. He (or she, perhaps) doesn’t serve much purpose, but he certainly is cute. Don’t toss that cloth that your ingredients came wrapped in! It’s flour sack towel and every kitchen needs one…or twenty. They’re huge, they’re absorbent, and they’ve been used in professional and home kitchens for ages because they’re so versatile. You can use this towel to clean, or use it to cover dough while it rests. You can even use it as a substitute for cheesecloth in a pinch–it’s great for wringing moisture out of vegetables. Best of all, they’re durable and can be washed by hand or in a machine. All Culinarie Kit packaging is 100% recycled or reused from our vendor shipments! Please continue the trend and reuse or recycle your Culinarie Kit box to help save the planet. Loving your Gourmand Kit? Did you cook up something special? Let us know on our Facebook page, tag us @culinariekit on Instagram, or join our Culinarie Cooks Facebook group to share your creations.